Discover the ethnic minority groups, their customs and their daily life. Great views of the marvellous rice terraces and beautiful roads. Visit the ethnic minority villages and idyllic rural landscapes. Enjoy the breathtaking panoramic views in the valley of rice terraces at Khau Pha pass. The magnificient 20km road in Ban Chat reservoir. Discover Dien Bien Phu battle field. Admire the tranquil landscapes in Na Tam. Enjoy the gorgeous landscape at O Quy Ho Pass, the longest and highest pass in Vietnam. The grandiose Ma Pi Leng Pass. The splendid panoramic views in Me - Lup - Tha villages. The magnificient Ban Gioc waterfall and amazing Nguom Ngao cave. A boat trip on Ba Be Lake and along the Nang River to visit Puong (Bats) cave. Bike to Hua Ma cave and Silver Waterfall in Ba Be. Discover the traditional local dishes and specialties. Connect with the locals on an overnight homestay. Our tour guide will give some first briefing information about our country and enjoy a welcome dinner in a finest local restaurant. Transfer to the old quarter to visit Hoan Kiem lake (Restored Sword Lake) and Ngoc Son temple in the middle of the lake. Thanh Son green tea hill and Muong Lo rice valley. In the morning, meet our tour guide and driver at your hotel and transfer to Muong Lo via Thanh Son. Muong Lo is known as one of the four most important fertile valleys of the north west (Muong Thanh in Dien Bien Phu, Muong Tac in Phu Yen and Muong Than in Than Uyen) in which the Thai ethnic group predominates. The village consists of hundreds of houses on wooden stilts and Thai people cultivate the water rice. Drive to the national road number 32 along the black river (Da River) one of the most important rivers in the northwest. In Thanh Son, we will make a stop to visit the green tea plantation hill then walk through the stilt-house villages. It belongs to the Muong ethnic group, considered as Authentic Viet. The Muong ethnic group is one of few communities in the north that is immune to Chinese influence. Arrive in Nghia Lo, check in at your home stay in the Thai village and enjoy their hospitality. Walk or bike around the Thai village to discover the beautiful rice field valley and hamlets that still preserve the authentic houses on stilts and meet the friendly locals. Go back to the home stay to freshen up and rest. Dinner will be served with special traditional local foods. Cycling: 5-10km depends on your interests. Thai people in Tu Le Valley – Khau Pha pass – Mu Cang Chai rice terraces. After breakfast, visit a local market in Nghia Lo then transfer to Mu Cang Chai via Tu Le. Mu Cang Chai is well known for its marvelous rice terrace widely considered as the most beautiful in the world. In 2007, Che Cu Nha, De Su Phinh and La Pan Tan were recognized as outdoor masterpieces on the list of national heritage. At the exit of Nghia Lo, you will cross the hilly region populated by the Zao ethnic group on the hills and the Zay in the valley. Stop for a chance to take photos and meet the local people on the way. Arrive in Tu Le. It is possible to trek to the valley where Thai people live in houses on stilts and have some unusual encounters that allow you to immerse yourself into the authentic local life. In the afternoon, continue to Khau Pha pass which offers you a splendid panoramic view of the valley of rice terraces. Then the car will take you to La Pan Tan which is a legendary route for photographers. You will admire the gorgeous rice terrace masterpieces created by the Hmong peasant artists from generation to generation. Enjoy the majestic landscape and follow the route from La Pan Tan to Mam Xoi. Arrive in the village and take a shower and rest. Enjoy dinner and stay overnight in a homestay. Driving time: 3hour – 100km. Thai region and Dien Bien Phu Basin. Depart to Dien Bien Phu via Tuan Giao, a beautiful landscape of rice terraces and mountains that follow you along the way. From Than Uyen, we turn on to the quiet national road 279 to Tuan Giao. On arrival at Ban Chat reservoir, a large reservoir that will accompany you for 20km, stop for a short walk to enjoy the tranquility and spectacular landscape. Keep driving to Pa Uon Bridge in Quynh Nhai, crossing Da River, one of the most important rivers in the north. Stop again to take great photos and meet the local people. Arrive in Tuan Giao at noon and enjoy lunch at a local restaurant. Continue to Dien Bien Phu, crossing the region of black Thai and white Thai ethnic groups. Dien Bien Phu is located strategically near the borders of three countries: Vietnam, Laos, and China. This is an 18km long, 6km wide valley surrounded by 1000m high mountains. The valley was the main battlefield between Viet Minh and the French expeditionary force in 1954. Arrive in Dien Bien Phu at 15:30, then visit the War Museum, A1 hill which offers a panoramic view of the basin, De Castries' command post and the memorial to the soldiers of the French expeditionary force, built 1992, and a symbol of reconciliation between Vietnam and France. Overnight in Dien Bien Phu city. Note: The next day, it is possible to go to Laos via the border gate at Tay Trang, 40km from Dien Bien Phu city. Depart from your hotel to Tay Trang, arrive at the border and leave Vietnam then our Laos tour guide will welcome you. The region of Hmong and Kho Mu. Arrive in Muong Lay – a relocation place for hundreds of Thai villagers. Previously, they lived in the valleys flooded by the reservoir for hydroelectricity Lai Chau – Son La. You can stop here if you would like a tea break. The journey is accompanied by the Nam Na River and the beautiful surrounding landscapes. Discover Thai and Hmong villages on the way before your arrival in Lai Chau City in the late afternoon. Check in to your hotel and relax. The region of Laos and Lu ethnic – Crossing Hoang Lien Son pass ( O quy Ho pass). In the morning, depart to Sapa along the Hoang Lien Son mountain range. At the exit of Tam Duong, we will turn right to visit Nam Tam Village where the Laotian and Lu people live. This is a beautiful, tranquil landscape. Traditionally, the local women are distinguished by black teeth and indigo colored clothing encrusted with silver pieces. Take a 2 hour hike through the river, villages, rice fields, and hills and meet the locals. Meet our driver for a transfer to Sapa, crossing Hoang Lien Son pass (O Quy Ho pass). This is the longest and highest pass in Vietnam, 54km in length and 2047m in height. Stop to relax at the top of the pass and soak up the grandiose landscape. This is also a great place for photos. Arrive in Sapa, a town discovered by the French in 1903, in the afternoon. With a temperate climate, Sapa became an attraction for holidaymakers because of its beautiful rice valley, splendid mountainrange and the diversity of minority tribes such as Black Hmong, Red Zao and the Zay ethnics. Stay overnight at a hotel in the town. Trekking: 2 hours in Na Tam. Ma Tra Valley – Ta Phin and Bac Ha – the plum plateau. Depart from your accommodation for the hike following the itinerary: Ma Tra – Ta Phin which is less touristic. The journey will lead you to the superb rice terrace valley, meeting the local people of the Black Hmong and Red Zao ethnic groups. They were originally from southern China. They settled in Vietnam in the 11th century. And still live at high altitude, far away from the modern world. This helps them to preserve their traditions, language and especially their ancestral way of life. Make a stop on the way to visit a Hmong family and school in Ma Tra Village. After a 3-hour trek, you will reach the Red Zao village to transfer to Sapa. In the afternoon, transfer in Bac Ha via Lao Cai City. Stop in the city for a visit to the Vietnam - China border gate. Arrive in Bac Ha in the late afternoon. Located at an altitude of 1000m, Bac Ha is home to several ethnic groups such as the colorful Hmong, Phu La and Tays. Bac Ha is well known for its weekly, colorful Sunday market surrounded by wild and beautiful scenery. Bac Ha market is not only for the exchange of goods but it has also been for the cultural exchange of the ethnic groups for centuries. Walking distance: 12km – 3 hours. Driving distance: 100km – 3 hours. Overnight at hotel in Bac Ha. In the morning, it is possible to visit one of the ethic markets in Bac Ha: Bac Ha market on Sunday or Can Cau market on Saturday. Depart to Sin Man, a town at the border between Vietnam and China. En-route, you will take a trip to the center of Lung Cai – Lan Ma communes. Discover the villages, primary school and boarding school for ethnic children, who stay at the boarding school the entire week. This is a great opportunity to interact with teachers and students. From Lan Ma, we will hike down the Lan Ma pass, passing through authentic Hmong villages, a splendid landscape where you can admire the magnificent rice terrace fields. (This trekking route may be done in the opposite direction to enjoy the descent of the pass). Enjoy a picnic lunch, then meet our driver and transfer to Sin Man. Stop to take photos of the beautiful wild landscapes and meet the locals. Arrive in Sin Man, the main town of the district that is very difficult to access, and home to a beautiful, well preserved ethnic market on Sunday. This is a place for dozens of ethnic groups to meet and exchange their goods and specialties (housewives, edible goods, crafts, animals). It is also a good way to experience the local way of life. A driving day to Ha Giang via the Hoang Su Phi district. This part will surprise you with its beautiful landscape of rice terraces and green tea hills in Hoang Su Phi. Not only you have a chance of encounters with colorful ethnic groups on route, but also to take breathtaking photos. Arrive in Ha Giang in the middle of the afternoon, beginning a trek to the Me - Lup – Tha Villages. Featuring serene beauty, these villages are made up of hundreds of houses on wooden stilts covered by palm leaves. In front of the houses, there are small ponds for raising fish and water hyacinth cultivations for pigs. You will be welcomed by big smiles from the villagers testifying to their legendary hospitality. Visit a typical house and discover the local daily life. Arrive in Tha Village, a village on the palm hills with rice fields where you can rest in the serenity. Check in at your home stay then take a walk around the village to catch the rhythm of daily life in the mountain before sunset. Dong Van Karst Plateau Geopark – home to Hmong ethnic people. Depart to Dong Van with the magical landscapes of this region present along the route. Before arrival at the Quan Ba pass, we will stop to visit a village of Bo Y in the Quyet Tien Commune. Their origin is from China. The Bo Y is a small community of 2000 people who populate in the mountainous parts of the north. Reach the Quan Ba pass and take a short break to admire Quan Ba town with the famous twin fairy mountains (Nui Co Tien). After Quan Ba, you will enter the Limestone rock plateau zone, considered as mountainous Halong Bay. This majestic natural treasure has been listed in the World Geological Park book. On the way, you will discover “Nha Trinh Tuong” by a walking to the Lung Hoa Village. This is the typical house of Hmong people in the village which is built on sticky ground. Next, visit the Palace of the Hmong King, Dinh Vua Meo. Dating back 100 years ago, far from the plain, the regions of Quan Ba, Yen Minh, Dong Van, Meo Vac created an autonomous zone with their own king. They cultivated poppies and their economy was based on the opium business with China. Arrive in Dong Van and check in at your hotel and relax. Driving time: 5 hours – 150km. Grandiose Ma Pi Leng pass, the region of Black Lo Lo ethnic group. In the morning, it's possible to visit Dong Van and Meo Vac market on Sundays. After breakfast at the hotel, we will depart from Dong Van to Meo Vac by crossing Ma Pi Leng Pass which seduces you with the breathtaking view of limestone mountains, Nho Que River and Hmong Villages nested in the mountain. Lunch is served in Bao Lac town and check in to your hotel. In the afternoon, we transfer to Coc Xa Village, in the Na Van commune. This village of the Lo Lo ethic group remains more authentic then Khuoi Khon village which became more touristic after the famous documentary. Walk through the rice fields and trails in the village, visit the local people's houses, and talk with the hosts to understand more about the local life as well as their traditional customs. Go back to the town and stay overnight in your hotel. Driving time: 3hours – 130km. Into the Land of San Chi and Zao. Depart to Cao Bang via Tinh Tuc. 30km from Bao Lac, in Hung Dao commune, there is a beautiful village of the San Chi ethnic group. Of course, we will stop to visit and discover the beauty of the village. You will be one of just a few travelers to visit this area because of its hidden location behind the hill. The village with hundreds of houses on stilts is nested on the side of a mountain and has views of the stunning valley. To reach to the village, you will have to walk up a steep 2km incline. The higher you walk, the better the view you will get. Also, you can visit a family to understand the authentic life of this ethnic group. After, continue to Cao Bang, where you will be in awe of the magnificent nature where the mountains gently meet the valleys of rice terraces so stop to film or take photos whenever possible. Arrive in Cao Bang in the afternoon. Check in to your hotel and walk around the central market in the city. Stay overnight in your hotel. Immerse into the Nung ethnic group. Discover the magical Ban Gioc Waterfall and Nguom Ngao cave. In the morning, depart from your hotel to Ban Gioc waterfall located on the border between Vietnam and China. It is 30m in height and 208m in width and is the most beautiful waterfall in Vietnam. After 2 hours of driving through the magical limestone region, you will arrive at Ban Gioc waterfall and be amazed by this beautiful natural masterpiece. In the afternoon, transfer to Nguom Ngao cave, reached by walking a hundred steps. The cave is located in the maize valley and is 2km in length. It is filled with incredible stalactites and stalagmites. It was a shelter for thousands of local people during the Vietnam/China border war. On the way to Cao Bang we will visit Phuc Sen, a blacksmith village, where you will have an opportunity to burn your name into your souvenir knife. You will be one of just a few travelers who spend a night in the village. The comfort is limited; however, you will enjoy the friendly atmosphere and the legendary hospitality of the Nung ethnic group and their authentic lifestyle. Have dinner and stay overnight in a homestay. Immerse yourself in Nung Village. In the morning, depart from your homestay for a 2 hour trek to Nung village. You will discover the craft villages specializing in the manufacture of paper and incense sticks. The landscape of rice paddies, the limestone peaks and the Nung ethnic group with their delightful hospitality will astonish you. According to our clients, this is one of the itineraries which gave them the most wonder. In the Canh Phung Tren village, meet our driver for a transfer to Ba Be. On the way, you will enjoy the magnificent landscape of the villages nestled in the flank of mountain. Stop on the way to meet the natives and take photos wherever possible. Arrive in Ba Be in the afternoon. Check in at your homestay to freshen up and rest. Have dinner and stay overnight in the homestay. Boat trip in Ba Be Lake and admire the wilderness. 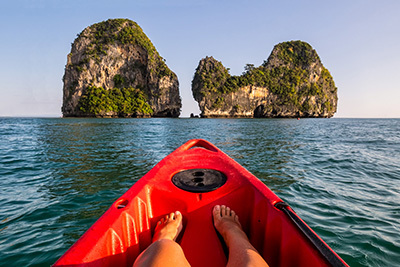 In the morning, transfer from the village to Buoc Lom Pier to take a boat trip along the Nang river and enjoy the beautiful scenery of forests along the river. The boat will pass through Puong cave, home to thousands of bats, toward Dau Dang waterfall. Lunch will be served at a local restaurant by the waterfall. Take the boat back to the lake, stopping at the fairy pond located in the middle of the primitive forest. Here, you will gently cruise around the lake and it's possible to swim if the weather permits. Disembarkation is at 4.00pm. Walk from the pier to the village, have dinner and stay overnight at the home stay. Dinner and overnight home stay. Relaxing in the Ba Be National Park. On the way, visit Tay ethnic villages whose houses stand on stilts, with a backdrop of tea plantation hills, palm plantations and rice valleys. Visit the villages to meet the locals along the way and obviously do not miss some stops to take the photos of the scenery whenever possible. Then visit Tan Trao, a former Viet Minh residence base during the first Indochina war. Arrive in Thac Ba in the late afternoon. Enjoy dinner and overnight at homestay. In the morning, take a boat trip to discover Thac Ba Lake, an artificial lake used for hydroelectricity. In front of your eyes, you will admire the huge valley covered by water and numerous hilltops from the hundreds of islets which bring a certain charm to the lake. Visit a Zao village, then go back to host family to say good bye and transfer to Hanoi. Arrive in the late afternoon and it's the end of the Adventure Tour among the ethnic groups. Enjoy your last minutes in Hanoi – the capital of Vietnam before transfer to airport for your next destination.